I absolutely love to make cakes that look like anything but a cake! It's always a challenge to figure out how to design the cake in such a way that it looks more like an everyday object than the sweet dessert. And this cake has been on my list of "to-do's" for quite some time now. I planned on this one being a little challenging, but surprisingly it really was not that hard to make! Most of what makes this cake look neat are the dried decorations that were made days before... and these items can be made at your leisure! 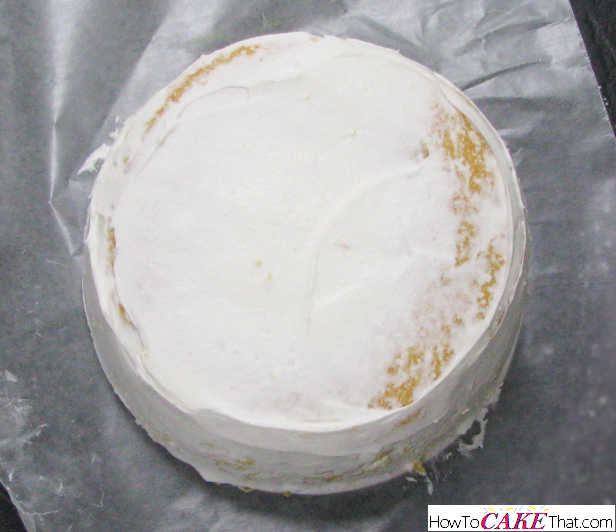 To begin, cover a cake base with white fondant. For this tutorial I used an extra piece of foam core board that I had lying around... that's why its so thin. I recommend, though, using a thick cake base, since later on a large dowel will need to be driven through the cake and into the base to help hold up the orchid spray. And if it has a nice thick base to stick into, the more sturdy it will be :). I decorated my cake board about a week before the cake was due to give it plenty of time to dry and harden. 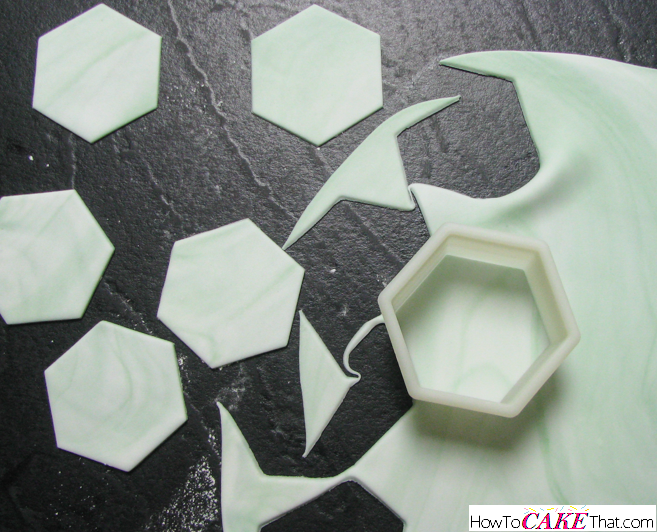 Next, we will be making the hexagon marble tiles that will decorate the cake board. 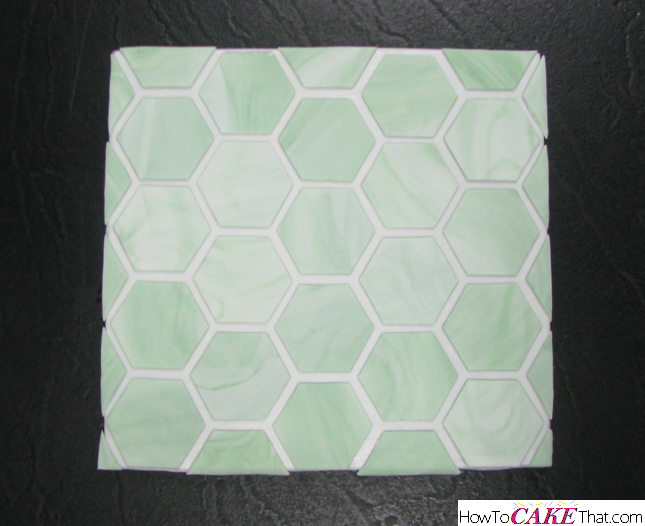 For my tiles, I wanted to go with sage green and white marble. To make the sage green color, I blended a mixture of Wilton color gels in Leaf Green and Delphinium Blue and kneaded into my fondant. Just the shade I was going for! I love it when that happens! My favorite way to get good even marbling in the fondant is to stretch out a piece of white fondant, and then stretch and tear small pieces from the colored fondant and lay those pieces over the large white piece. Then twist, pull and knead together until you have a nice even marbled appearance. 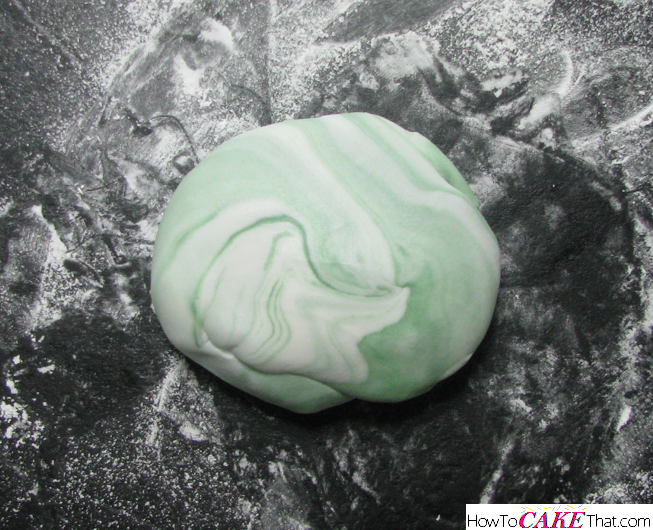 Then roll out your marble fondant on a work surface dusted with cornstarch. Be sure to roll fondant pretty thin. This will just be for the cake board, so you don't want it really thick. Then, using a hexagon cutter in a size appropriate for your board, cut out enough hexagons to cover your board. There are a couple methods you could use to place and adhere your tiles to the board. The first is allowing the tiles to dry on a flat surface until they are easily handled without stretching or bending. Then they could be easily placed on the board and glued down by brushing the back side with piping gel, edible glue, or water. Or the cut tiles could be placed on a sheet of wax paper and refrigerated for 30 minutes, or until stiff, then they will be rigid and easily handled to place on the board. 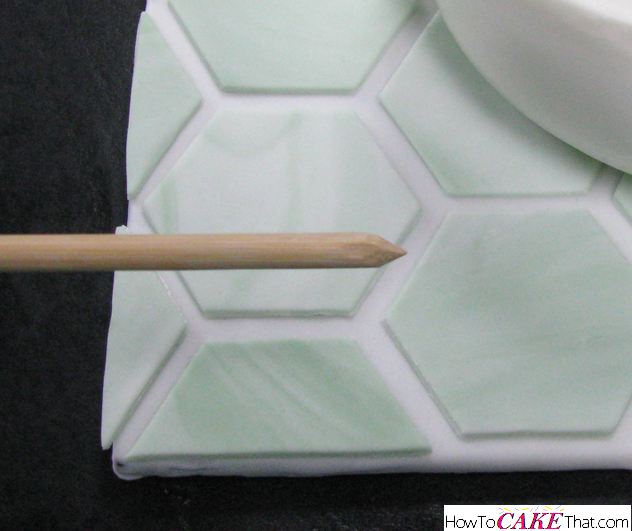 Brush the backs of the tiles with water, edible glue, or piping gel. And as far as even placement goes, I just eyed it up. I began with the full size bottom left tile and just added piece by piece from there. If you need help with placement, you could use tile spacers (the little "X" and "Y" shaped foam pieces that almost look like cat food... Lol!) found at any home improvement store. Set cake board aside to dry for at least a day or more. 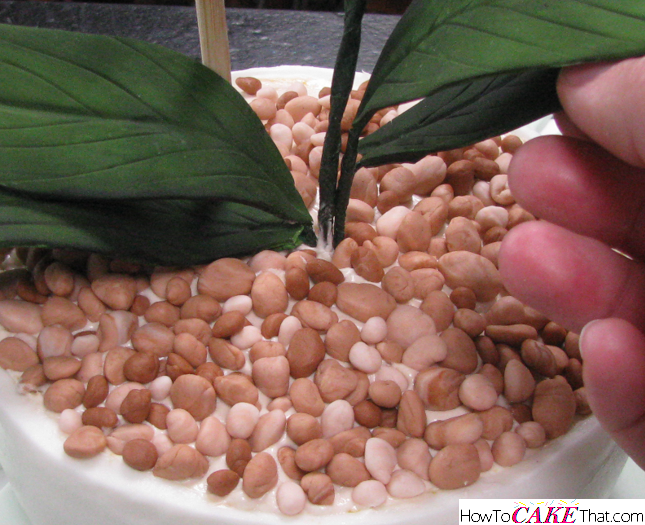 About 5 or 6 days before the cake is due, begin making your orchid spray. 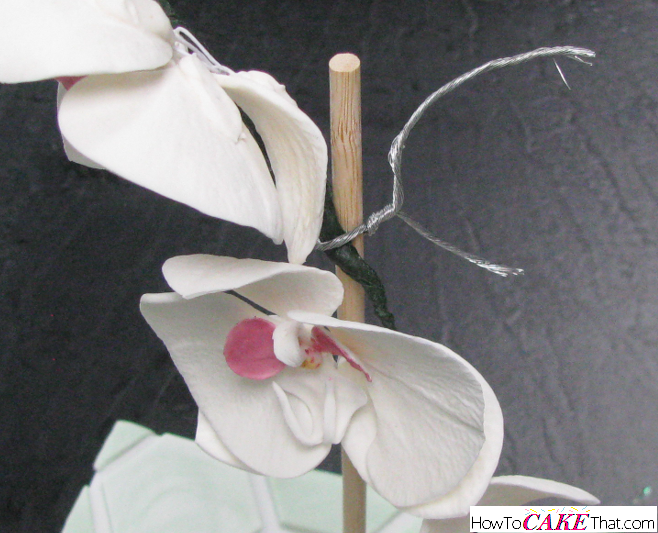 For a tutorial on how to make one, check out the Moth Orchid Tutorial located in the "Decoration Tutorials" section. If your orchid spray wire stem is too long, do not trim it. Fold it up and tape it to itself to make the stem a little thicker. This will add stability to your orchid spray. 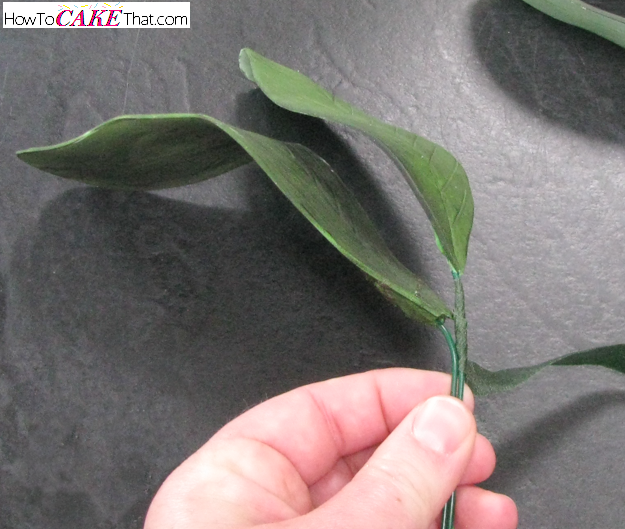 About 5 days before the cake was due I made the gum paste leaves. To make the leaves I colored gum paste using a lot of Wilton gel color in Moss Green with a touch of Wilton gel in Kelly Green. 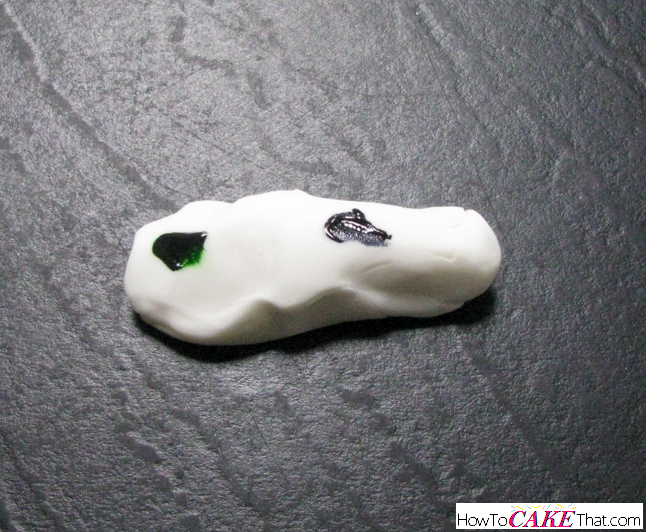 You will want to use 100% gum paste and not a blend of gum paste and fondant. These leaves will be heavy and you want them to be as strong as possible. Next, on a surface dusted with cornstarch, roll out gum paste. 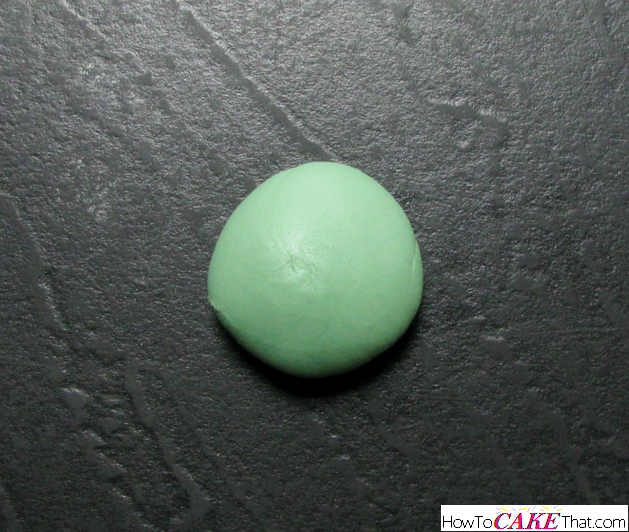 Keep gum paste slightly thick to ensure it will be sturdy... but not so thick that it would be too heavy. 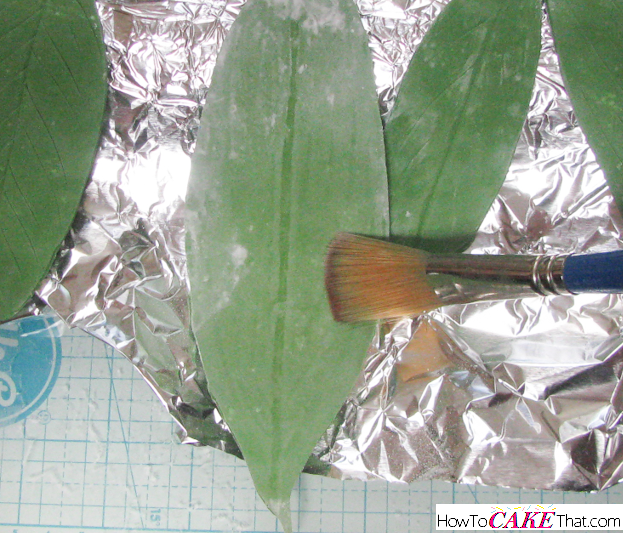 Next, using an Xacto knife, freehandedly cut out paddle shaped leaves: some small, some large. Note: Be sure to save the scrap gum paste pieces. They will be needed to attach wires to the backs of the leaves. 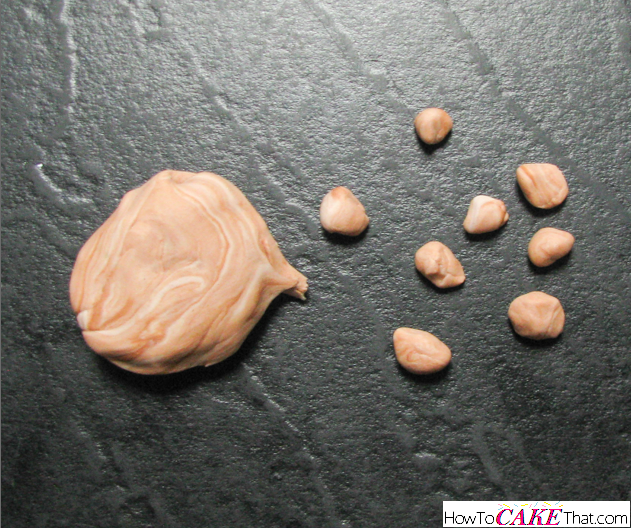 To store the gum paste, place in an airtight baggie and place 2 to 3 drops of water into the bag to help keep the gum paste from drying out. It may be a little sticky from the added water, but it's better than having a rock hard ball of gum paste that is unusable. 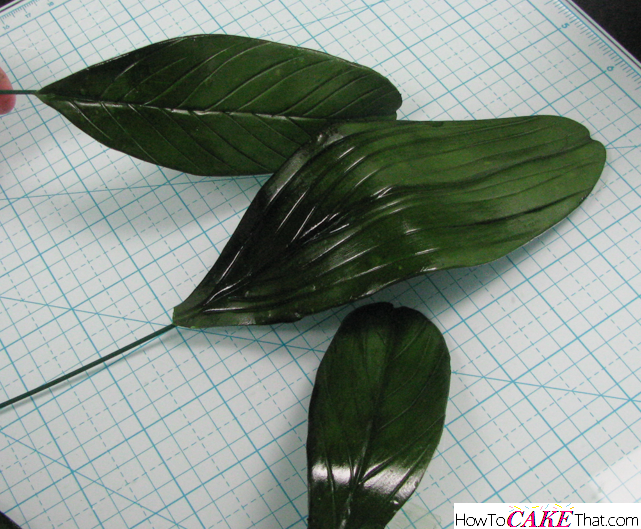 Use veining tools to add texture to your leaves. 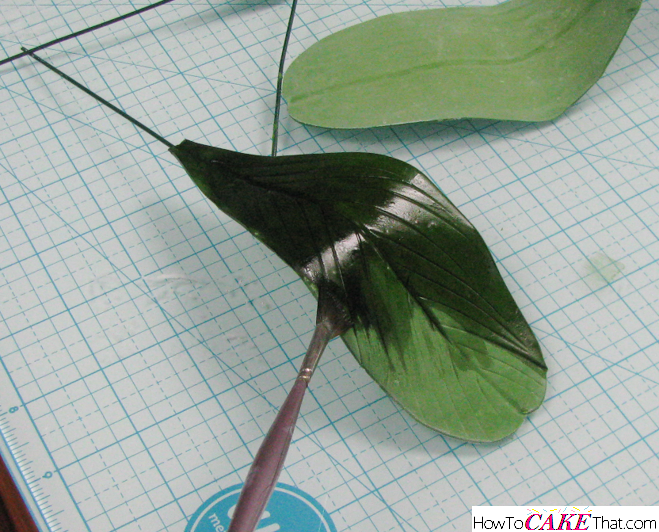 Use a large veining tool to create the wide main vein running through the center of the leaf. Then use a smaller veining tool to create the finer details. Once all of the details to your leaves have been added, it's time to set up a place for them to dry. 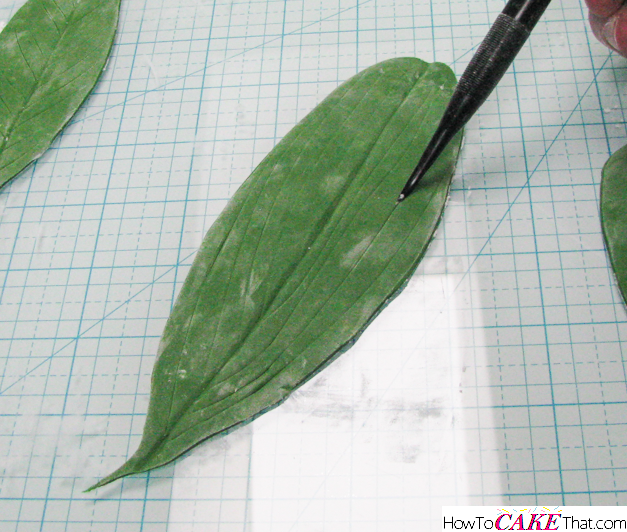 One of the best ways to dry large gum paste leaves is to use a "U" shaped flower former and place it face down on your work surface. Next, lightly crumple a piece of aluminum foil and lay it over the upside down flower former. 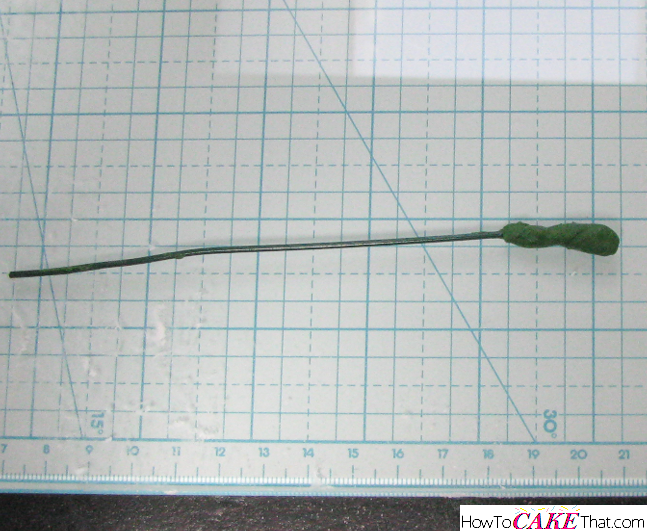 Lightly form the foil around the flower former to create a hump in the middle. 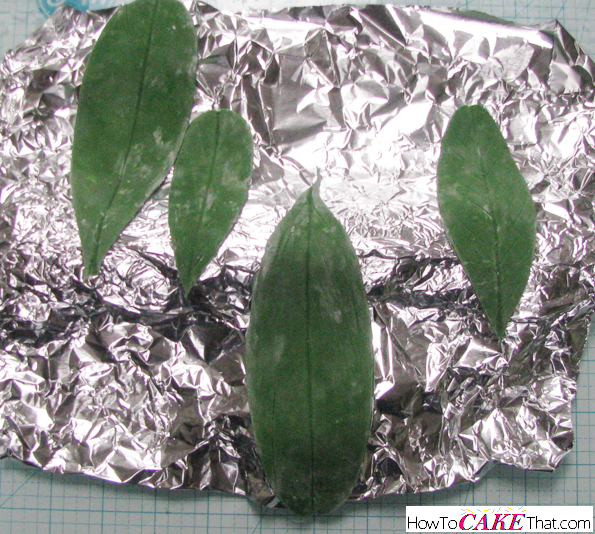 Gently place your gum paste leaves over the foil former. Allow leaves to dry for at least a day or two. After leaves have dried, use a large soft brush to dust the cornstarch off of them. Now it's time to attach a florist wire to the leaves. Since the leaves are a little heavy, I'm using a heavy gauge florist wire to ensure they will stand up. 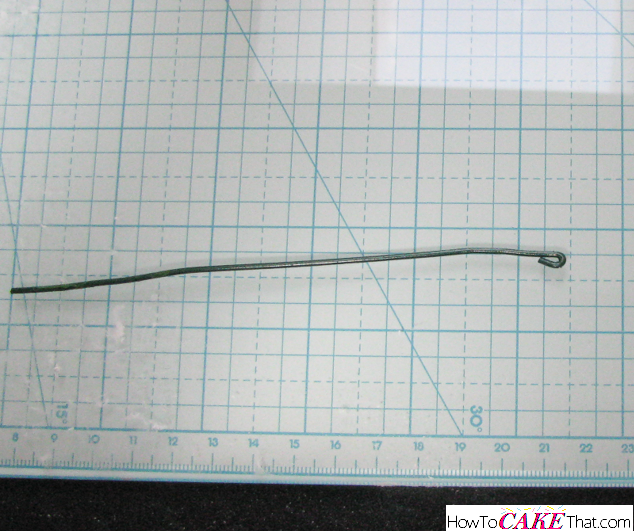 To prepare the wire, use needle nose pliers to bend a small hook on one end of the wire. Now it's time to get out the gum paste scraps we saved. Brush the end of the wire with a tiny bit of water and place a bit of gum paste onto the end of the wire. 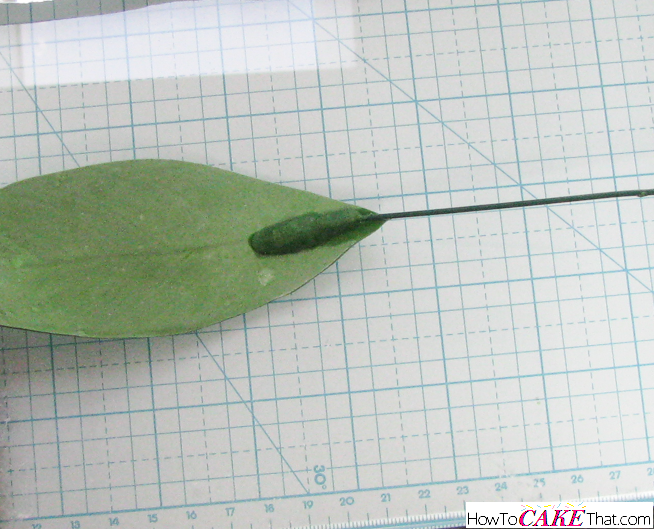 To attach the wire to the back of the gum paste leaf, brush a little water on the back of the leaf near where the stem would be. 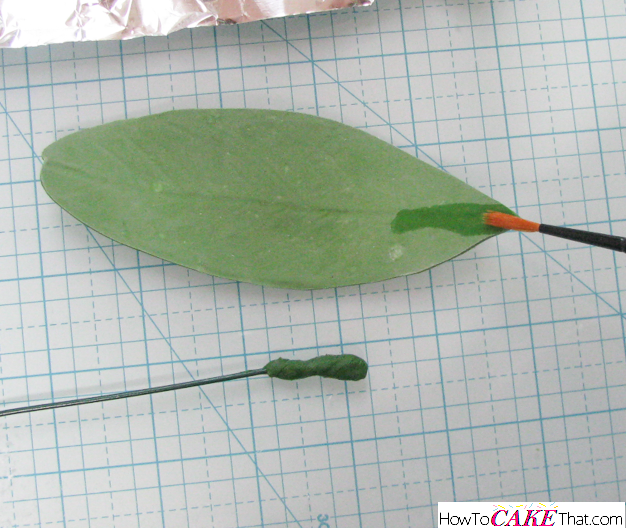 Press the gum paste covered wire onto the back of the leaf. Set leaves aside to dry for at least a day or two. After wire stems have dried, it's time to paint the leaves and really make them come to life! For my leaves, I created a watercolor paint using Wilton gel color in Juniper Green and blended it with a little alcohol (150 proof or higher). And then I painted the color/alcohol mixture directly onto the leaves. Aren't the purty! If only they would keep that shine! Unfortunately the shine will disappear once they dry. Set leaves aside to dry. Now it's time to create the little pebbles that will sit on the surface of the pot. 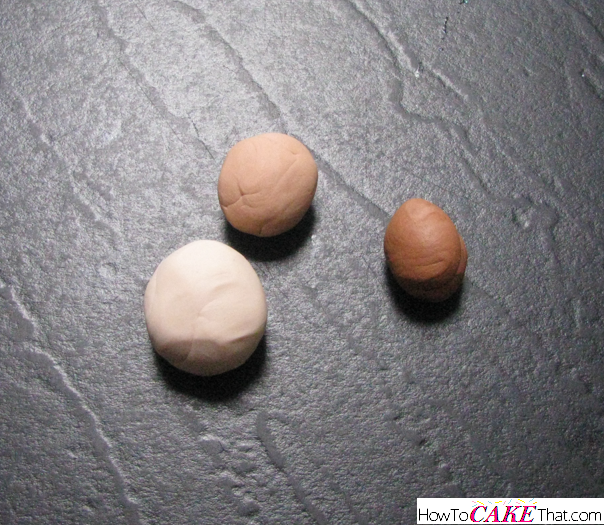 To do this, color fondant in 3 shades of natural brown or tan. 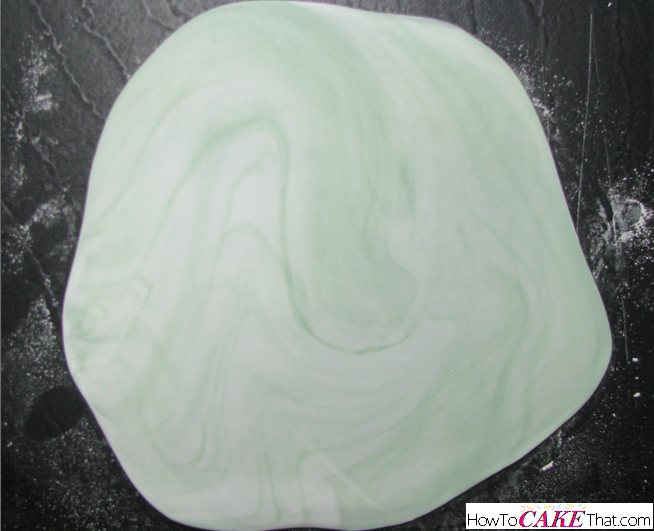 Use the same method mentioned above for marbling fondant to marble the stone colors. 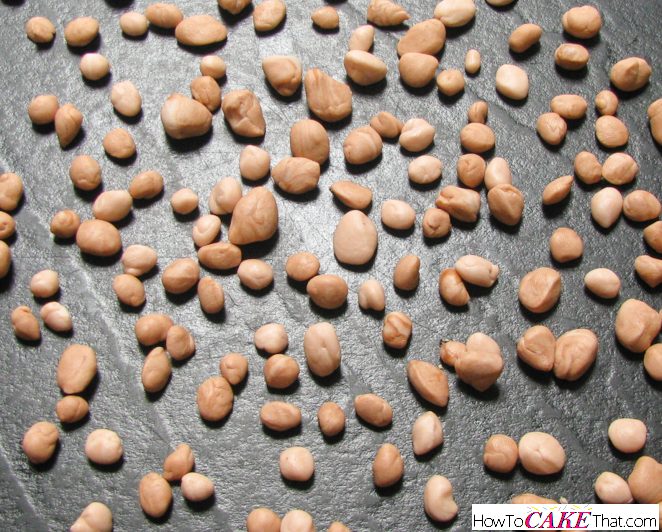 To create little stones, pinch off small pieces of fondant and roll them between your thumb, index finger and middle finger until they reach a natural smooth stone shape. And make about a million and a half of them! Be sure to make different shades of stones as well! Both lights and darks! When done, set in a bowl or food safe container and set aside. 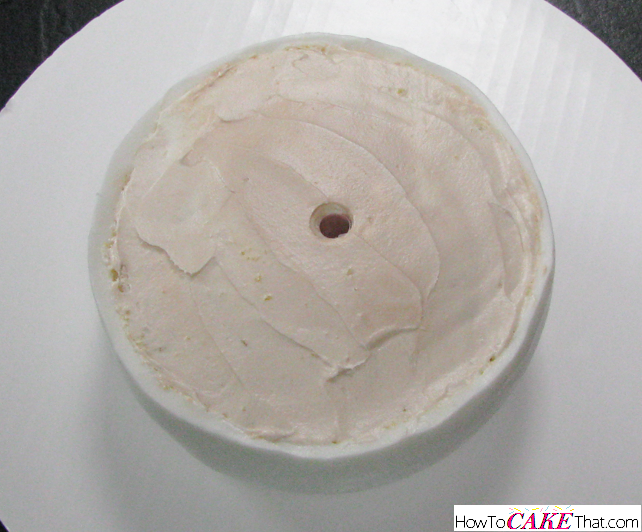 Once you're ready to assemble, bake a 6" round cake about 2 to 3 inches tall. Fill and frost with your favorite buttercream. 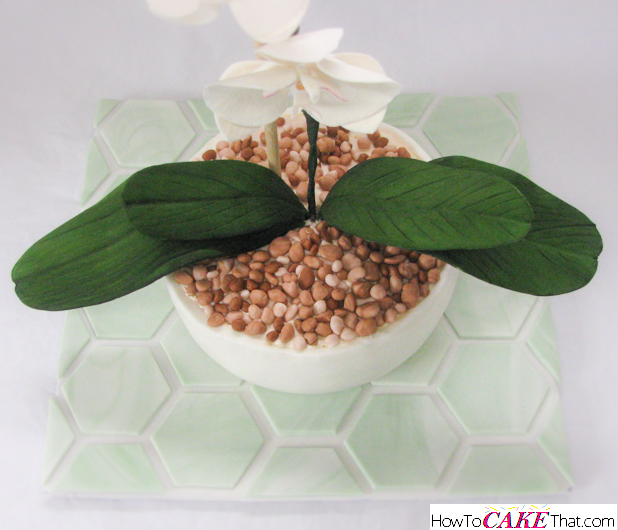 Edges of cake can be carved to give your orchid pot a rounded bottom, if desired. My cake kind of shrank back on the top and naturally gave it a slightly rounded edge, so the top of my cake became the bottom of my orchid pot. Be sure the side of the cake you want to be the bottom of your orchid pot is facing up. 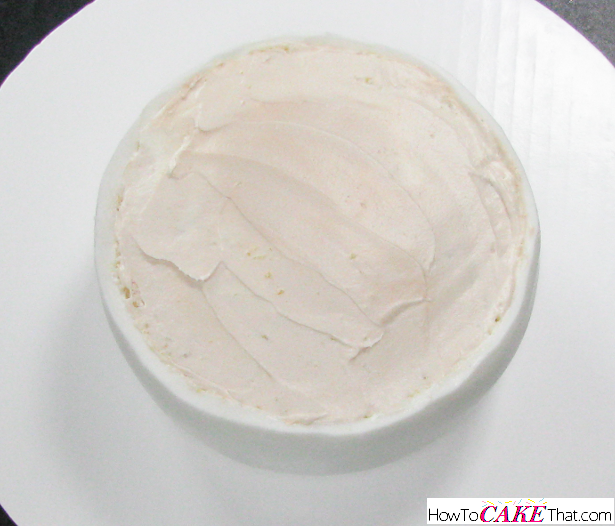 Refrigerate your cake to firm up the frosting. Roll out enough fondant to cover your 6" cake. 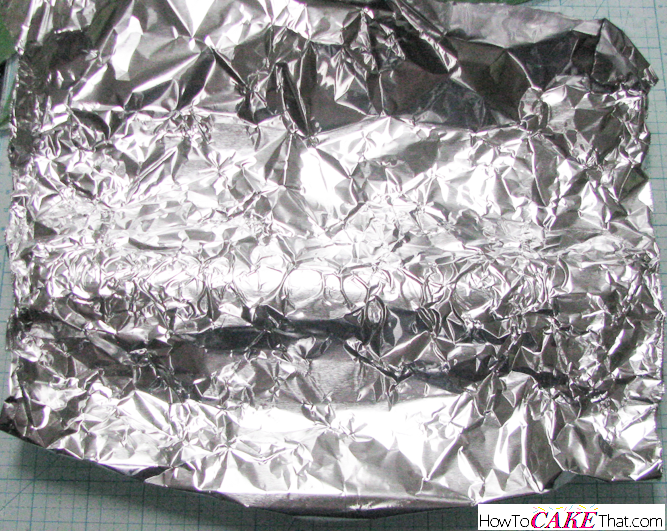 Remove cake from the refrigerator and cover. Trim off excess fondant. 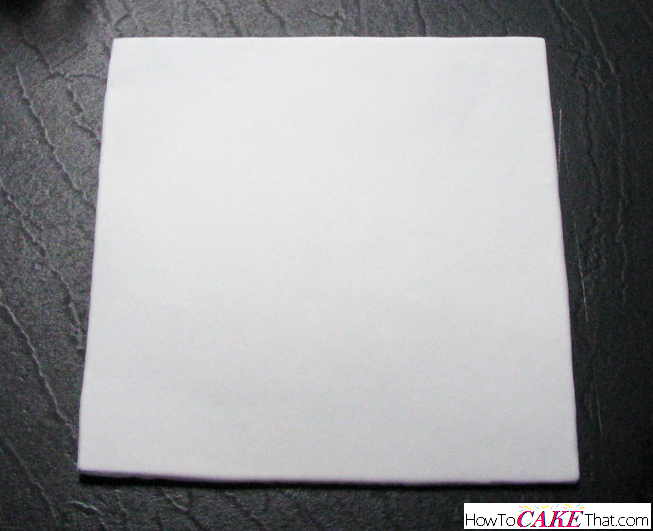 Place fondant covered cake in the refrigerator to firm up for at least an hour. 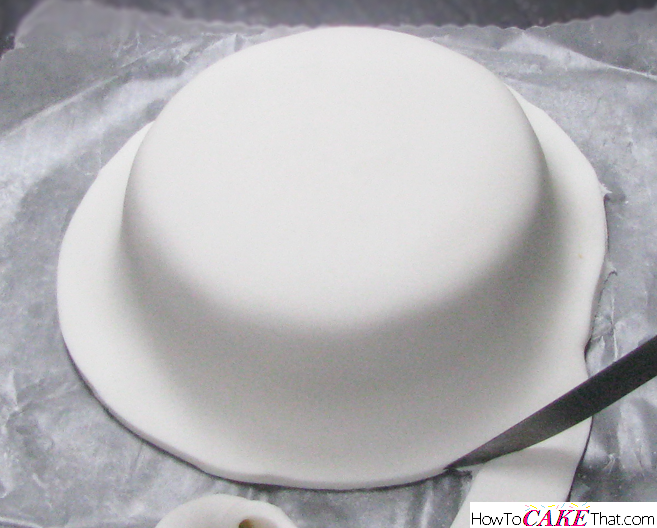 Remove cake from refrigerator and flip over to make the fondant pot right side up. 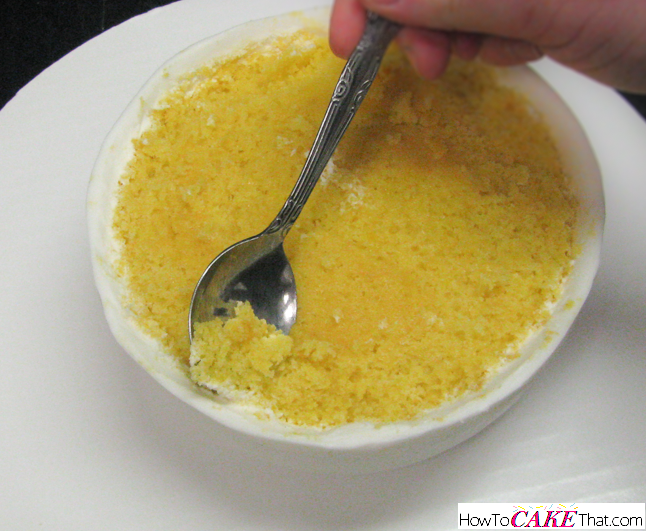 To make room for frosting, use a spoon to dig out a tiny bit of cake to allow for a thin layer of frosting. Color a bit of frosting light brown to match the decorative fondant stones that will be placed on it. 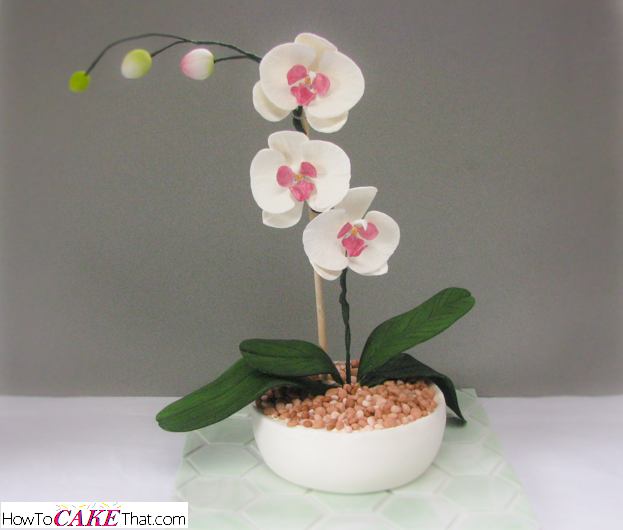 To make a barrier to protect the cake from the wires of the orchids and leaves, place a large tea straw into the center of the cake. 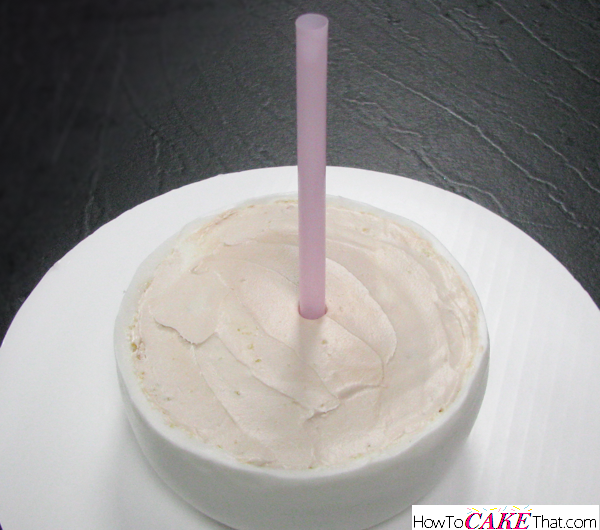 Trim the straw so that it is even with the cake. 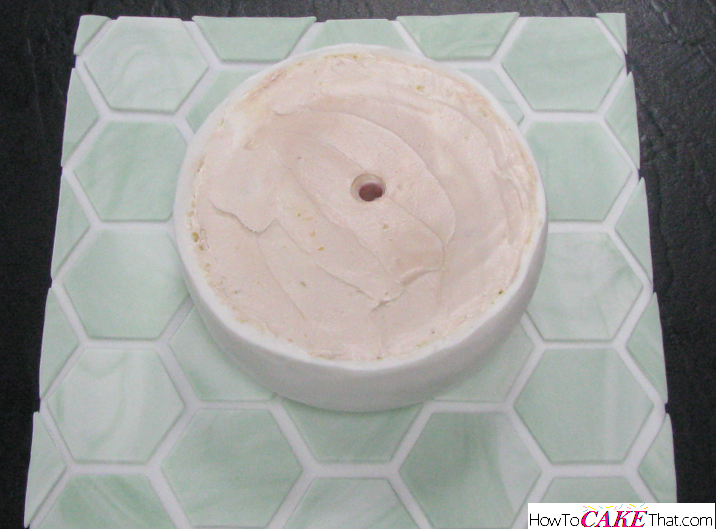 Next, spread a small amount of piping gel onto the center of the hexagon cake board right where the cake will sit. Place the cake on the board. Before we add the heavy orchid spray to the cake, we need to prepare the support and have it ready. 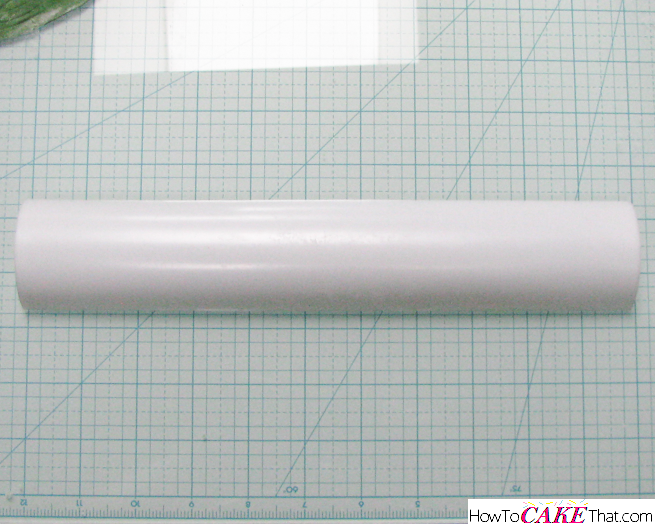 For the support I am using a long wooden Wilton cake dowel. Also, I have two pieces of wire nearby ready to tie the spray to the dowel. Sharpen one end of the cake dowel. This pointed end will be pressed through the cake and down into the cake base to ensure that it will be sturdy enough to hold up the orchid spray. 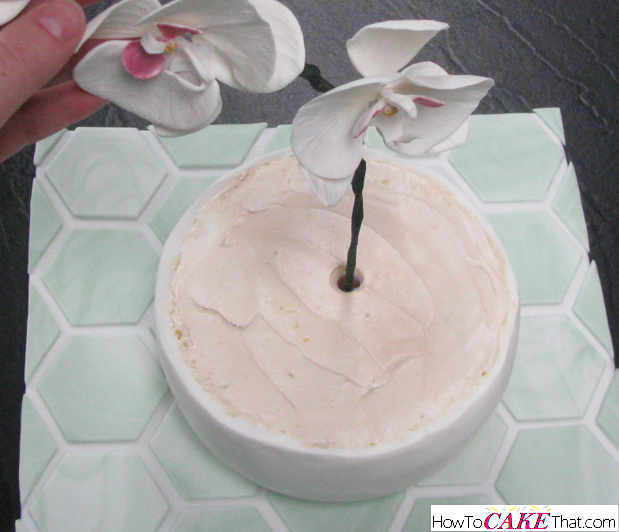 Place the stem of the orchid spray into the straw in the center of the cake. 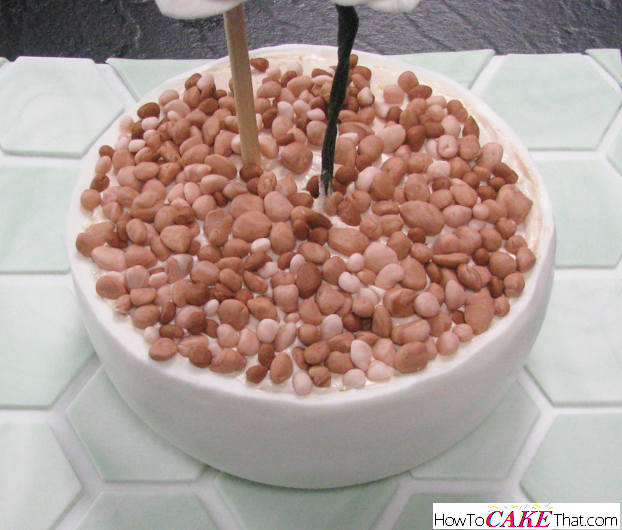 Hold the spray in place with one hand and insert the dowel into the cake near the spray. Once dowel is inserted, tightly tie the orchid spray to the dowel. I tied the spray to the dowel in two places for extra stability. Next, use florist tape to tape two sets of leaves together. 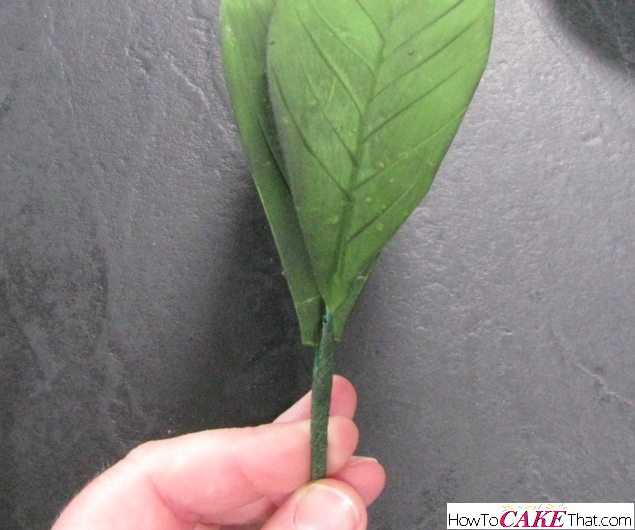 Place the smaller leaf over the larger leaf and tape together. Taped together into one nice strong stem. 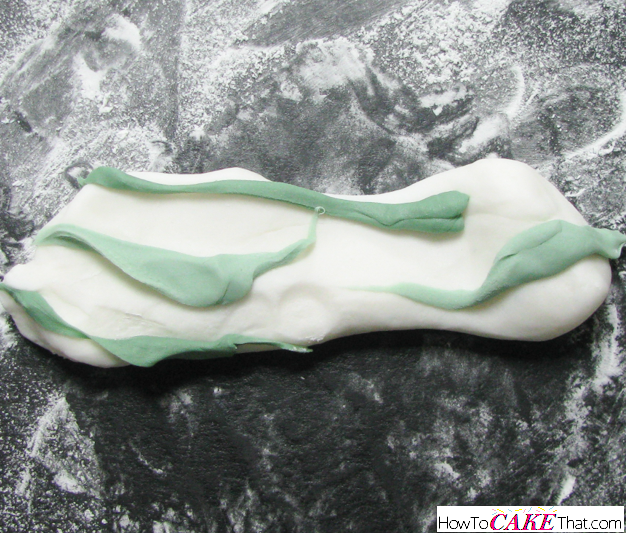 Before adding the leaves, place the little fondant stones down onto the frosting. The stones will protect the leaves from touching frosting and getting messy. 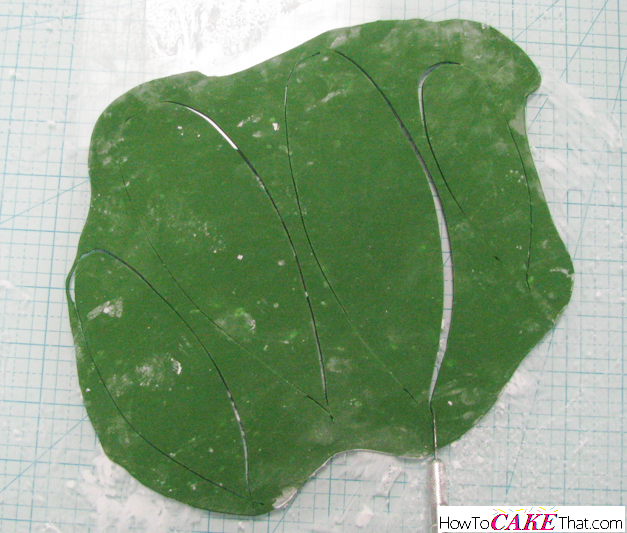 Place the leaf stems down into the straw in the center of the cake. 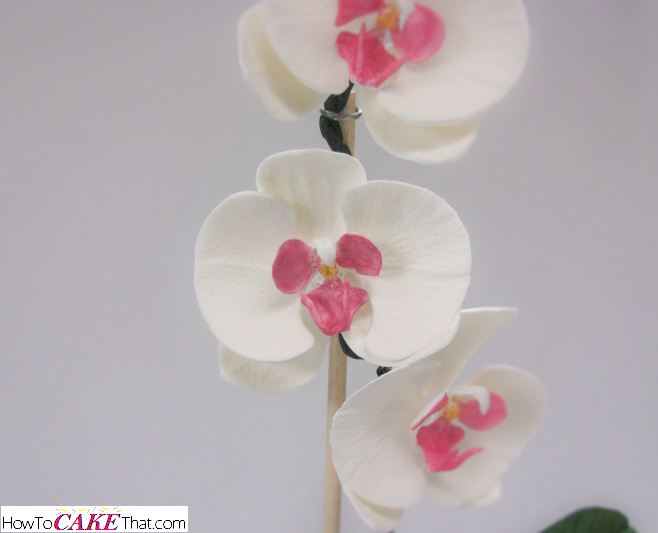 And that's how you make this realistic potted moth orchid cake! I hope you have enjoyed this tutorial! God bless! !